It didn’t. It has led United — like Delta and other carriers — to consult with its staff and experts and to make public detailed new policies on flying critters. Federal guidelines specify that airlines must permit passengers with disabilities to board with trained service animals or emotional-support animals of many stripes, regardless of the animal’s potential to ‘offend or annoy’ others on the plane. 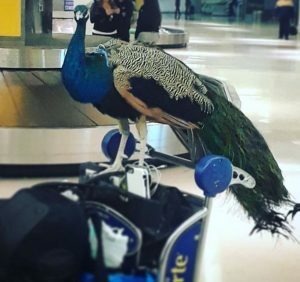 But airlines have some latitude to deny boarding to certain ‘unusual’ service animals, including snakes and other reptiles, ferrets, rodents and spiders, and can prevent them from boarding if the animal poses a threat to the safety of others. … [United, starting March 1] will require documents confirming that an emotional support animal is in good health and that it is properly trained for public settings, to avoid problems during the flight. The policy is similar to new requirements recently announced by Delta, though that airline, unlike United, will also require veterinary health records for trained service animals. Airlines say they have seen exponential increases in the number of support beasts they have flown — Delta reporting it carried 250,000 of them in 2017, up 150 percent, while United said its comparable numbers were 76,000 critters last year, almost double the number in 2016. This traffic also has created sky-high problems for jet-bound humans, as they struggle with inappropriately controlled four-legged companions that have bitten passengers, as well as defecating, urinating, and acting like, well, animals. With airlines also jamming people into planes as if they were cattle or sardines, howls have erupted over unruly behavior by support animals. The high-altitude furor has been matched on the ground where consumers have grown testy about support animals running too free in pricey restaurants, grocery and department stores, farmer markets, shopping malls, and other public spaces for people. To be sure, owners of emotional support animals may be benefiting from their companionship. But the medical-scientific evidence of this practice’s mental health benefits, particularly on a sustained basis, is thin, at best. It’s a challenge to make the research-based case at any rate, as some of the Ph.D. types at the respected RAND Corp. think tank discovered. Pets help build communities, breaking down barriers between people and paving the way for us to build networks of friendships. The same effect may account for much of the effectiveness of animal-assisted therapies, with the animal drawing the patient into relaxed conversation with the human therapist. Pets make people happy and bring people together. Bingo. Our non-human companions are supposed to help us be better people, not to make us crazier about each other. This requires us to apply uniquely human attributes: common sense and moderation. In my practice, I see the significant harms that patients suffer while seeking medical services and their need for sometimes major but still reasonable accommodations as they try to restore damaged lives to some form of normalcy. To be clear, pets aren’t magic in themselves. They don’t walk us so we get more exercise. They walk with us. Many species exist in the wild, and, when they’re in our homes and public places, animals are sharing an existence, we hope, that’s mutually beneficial, including in the companionship they give us. If humans derive demonstrable benefits from four-legged pals, they also owe them — and the rest of the people around them — consideration. Air travel these days, as I’ve mentioned already, has become an ordeal with potential health harms for those of us who can complain when poor service makes them even worse. 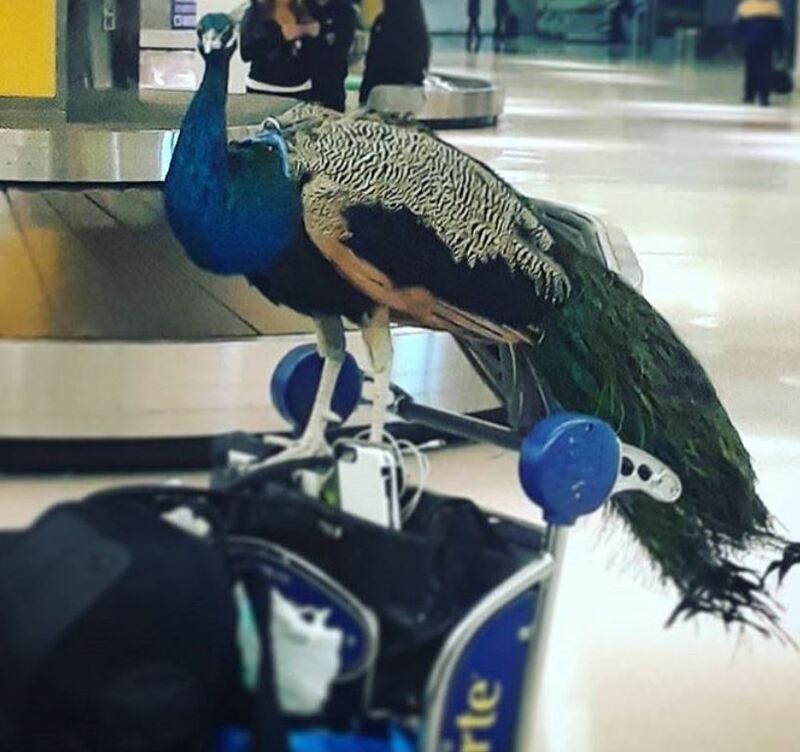 Flying’s got to be stressful to an extreme for animals. Maybe they don’t want to be sky high? Here’s hoping that we all can keep minds and hearts open, avoid the extremes, and figure what can work better.